We are often asked about the size of our Petite Caramel Apples and whether or not they will fit in a cupcake wrapper. The good news is that they do! 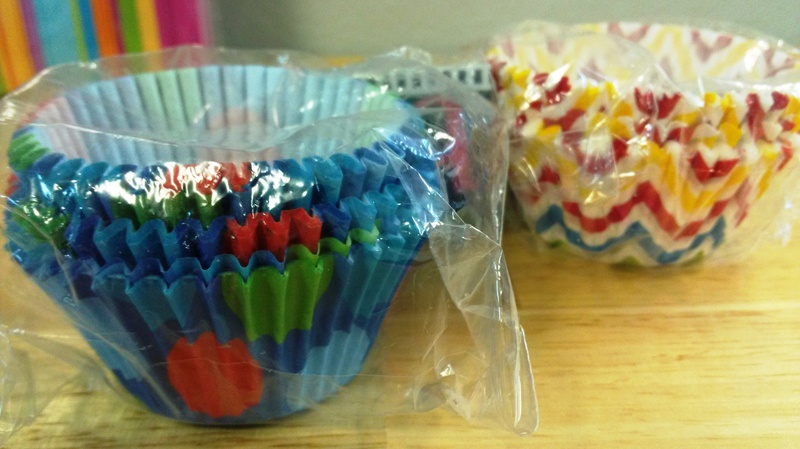 We picked up these super cute cupcake wrappers so we could show you. Each package contains 50 wrappers and was $1.99, or about 4 cents per cupcake wrapper. The bright colors of these cupcake wrappers would be fantastic for a birthday party, but think of all of the options this opens up. They make cupcake wrappers in every pattern and color imaginable! And if they need to be a take home treat, they look great in a cellophane bag with a ribbon, too! Posted in Caramel Apple Wedding Favors, Daffy Farms, Decorating Ideas, Delicious Pictures, DIY, The Daffy Apple and tagged birthday, caramel apple, caramel apples, carnival, cupcake wrappers, cupcakes, daffy apple, daffy farms, diy, event, petite, rainbow, size, sprinkles on April 16, 2014 by daffyfarmsblog. 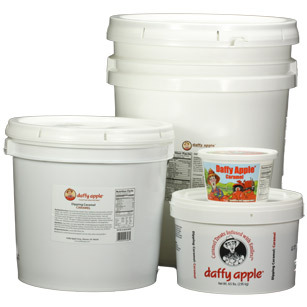 Q&A Tuesday: What is the difference between a Daffy Apple Petite Caramel Apple and a Daffy Apple Premium Caramel Apple? 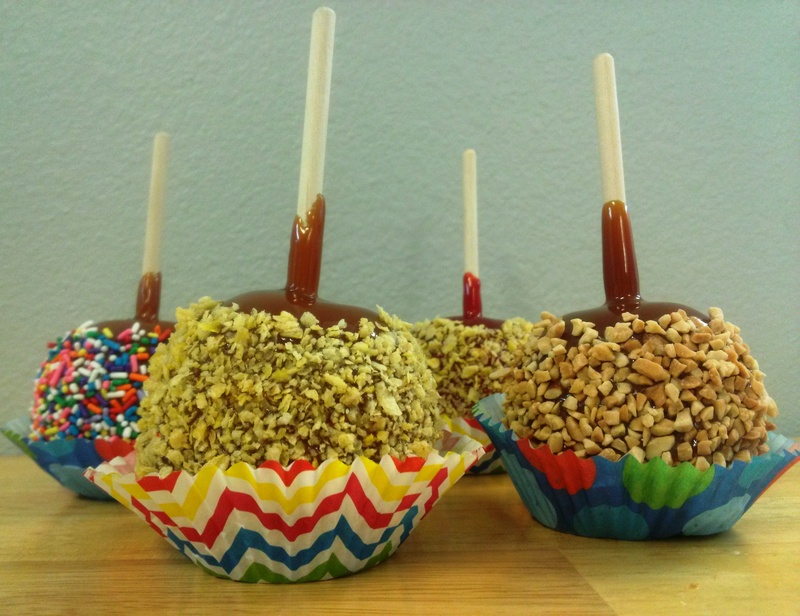 We make two types of caramel apples—Petite Caramel Apples and Premium Caramel Apples. Petite Caramel Apples are sold by the case of 24 or half case of 12. They are a single serving size each and make fantastic party, event, and wedding favors. They are the same apples available at local grocery stores in the fall and they can be ordered in either single pack or 3 pack retail packaging. They are only available during the month of April and from September to November. Premium Caramel Apples are sold individually in gift packaging, either in a Daffy Apple Red Box or in a Clear Caramel Apple Box. 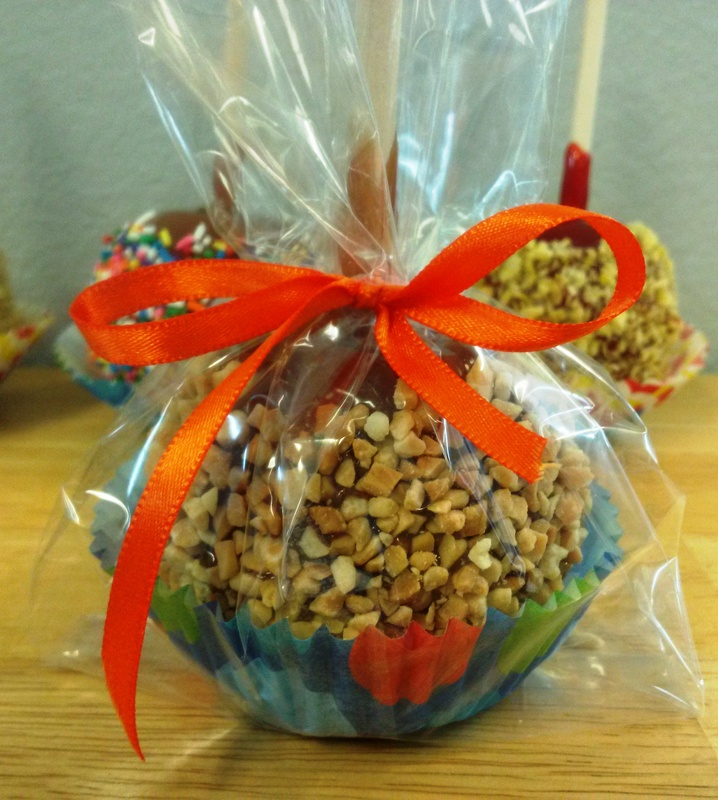 They are generally considered 3-4 servings per apple so they are great for sharing and are perfect as an individual gift item for a holiday or event. They are made with a thicker, richer premium caramel and they are available all year long. Posted in Caramel Apple Wedding Favors, Daffy Farms, Q&A Tuesday, The Daffy Apple and tagged all natural, caramel, caramel apple, caramel apples, daffy apple, daffy apple red box, daffy farms, event, fall, gluten free, gourmet, packaging, petite, premium, Q&A Tuesday, retail, size, traditional, white chocolate on April 15, 2014 by daffyfarmsblog. 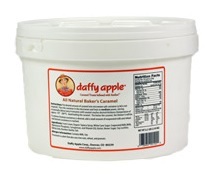 We are asked, quite often, about the size of our Daffy Apple Petite Caramel Apples. The answer in terms of inches is 2 1/4in to 2 3/4in, however sometimes flat measurements for round things are hard to visualize, so we thought we would post a couple of pictures. A baseball is a size comparison we usually offer, though we threw in a tennis ball, an average size coffee cup, a deck of playing cards, and a 16.9oz water bottle to add some variety to our picture. In the photo on the right, a packaged Petite Red Candy Caramel Apple with Crunch stands beside a Premium Caramel Apple with Milk Chocolate and White Chocolate Drizzle, an unpackaged Petite Caramel Apple with Crunch, and a Premium Caramel Apple with Chocolate Mini Gems. 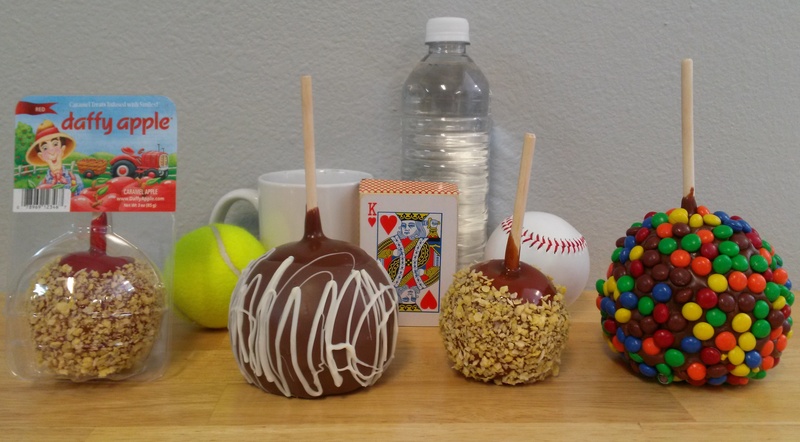 The caramel apples are in the forefront, so the size is a little deceptive, but in the second photo, below, the caramel apples are lined up evenly against the backdrop with the tennis ball and baseball. The Petite Caramel Apples are about the same size as the baseball and tennis ball, but the Premium Caramel Apples are giants because they are created with much larger Granny Smith Apples and incredibly thick layers of caramel and premium toppings! Posted in Caramel Apple Wedding Favors, Daffy Farms, The Daffy Apple and tagged caramel apple, caramel apples, crunch topping, daffy apple, daffy farms, gourmet, petite, premium, size, white chocolate on March 5, 2014 by daffyfarmsblog.